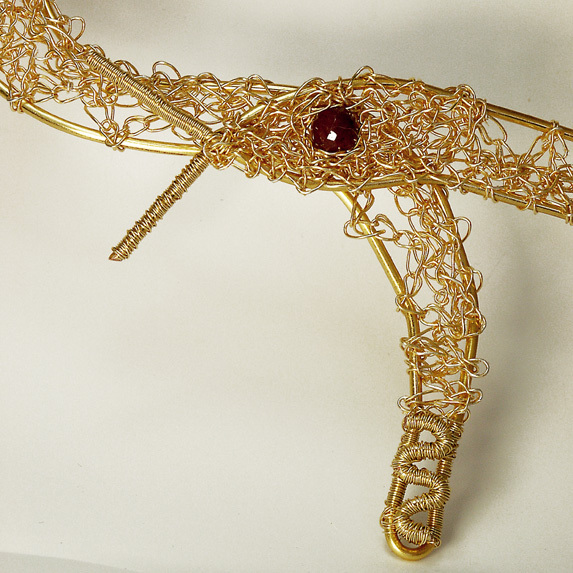 Materials : Gold Plated and Rubis. Size : 27 cm Long, around 1.8 cm Wide, Eye of the Snake : 0.8 cm Diameter. 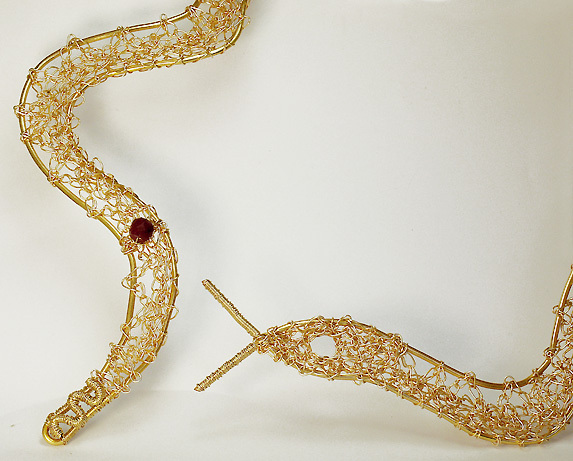 A long and thick gold plated wire is cover with a mesh made with crochet, and take the shape of a snake. 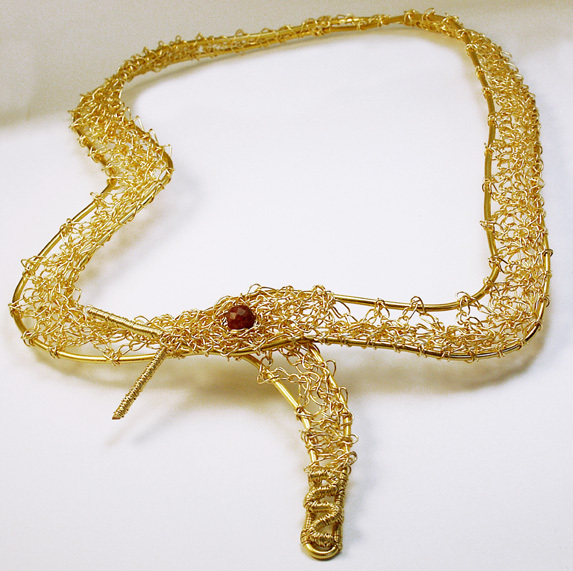 The eye of the snake is a facetted rubis bead when the neacklace is lock.